Tidewater Boats is building an additional facility at its South Carolina headquarters to product bigger boats, like this 320 CC Adventure. South Carolina-based Tidewater Boats is investing $8.3 million to expand its operations and accommodate the production of larger models. The company will build a new satellite facility in Lexington, S.C., to produce its bigger models, adding 100 jobs, the South Carolina Department of Commerce said. Founded in 2006, Tidewater has grown from five models 10 years ago to building 24 saltwater models ranging from 17 to 32 feet. 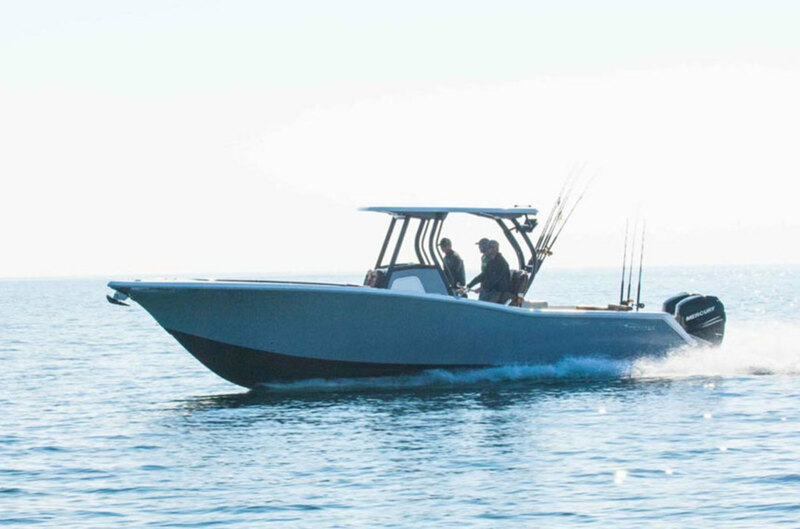 “Our mission is to build a boat that is of great value and worthy of proud ownership,” said Tidewater Boats founders Chris Martin and Jimmy Metts on the Commerce Department’s website. “We accomplish this by utilizing historically skilled South Carolina craftsmen, the most advanced composite materials available and a classic, distinctive design that sets us apart from our competition. The state Coordinating Council for Economic Development has approved job development credits related to the project. “South Carolina continues to build a reputation for itself as a state that not only makes things, but makes them well. With [the Jan. 3] announcement by Tidewater Boats, the company is sending a message to the world that South Carolina has everything they need to continue making their state-of-the-art products,” state Commerce Secretary Bobby Hitt said.